At the very best college games, the stands are filled, the fans are screaming, the competition is fierce and fueled by the crowd. That spirit spills over onto campus and into the community, tying people together. At IUPUI, Jaguar pride draws us together, and we ROAR as one. 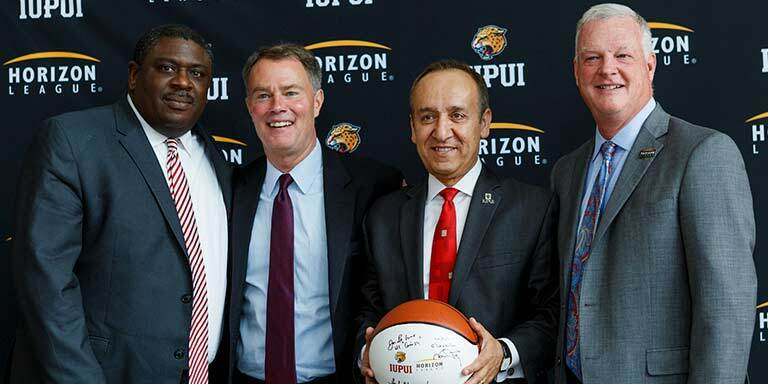 Director of IUPUI Athletics Dr. Roderick Perry, Indianapolis Mayor Joe Hogsett, Chancellor Paydar, and Horizon League Commissioner Jonathan LeCrone announce the IUPUI and Horizon League partnership. 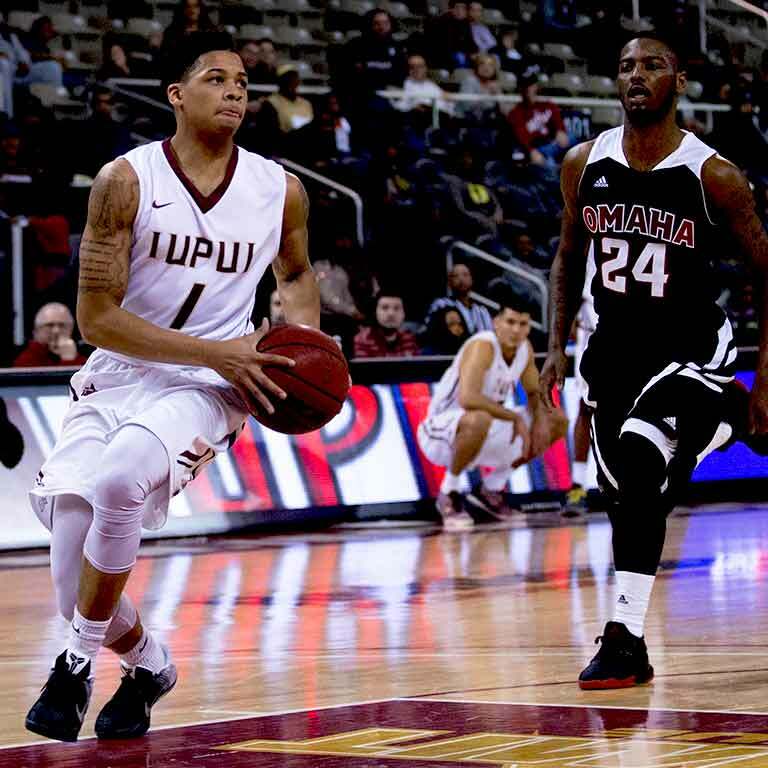 Now a member of the Horizon League, IUPUI Jaguars are generating that spirit and excitement. With 18 NCAA Division I sports for men and women, IUPUI is home to more than 260 student-athletes who achieve at the highest levels on the court, field, or course, and in the classroom. In fact, IUPUI student-athletes have maintained above 3.0 cumulative GPAs for 17 straight semesters. 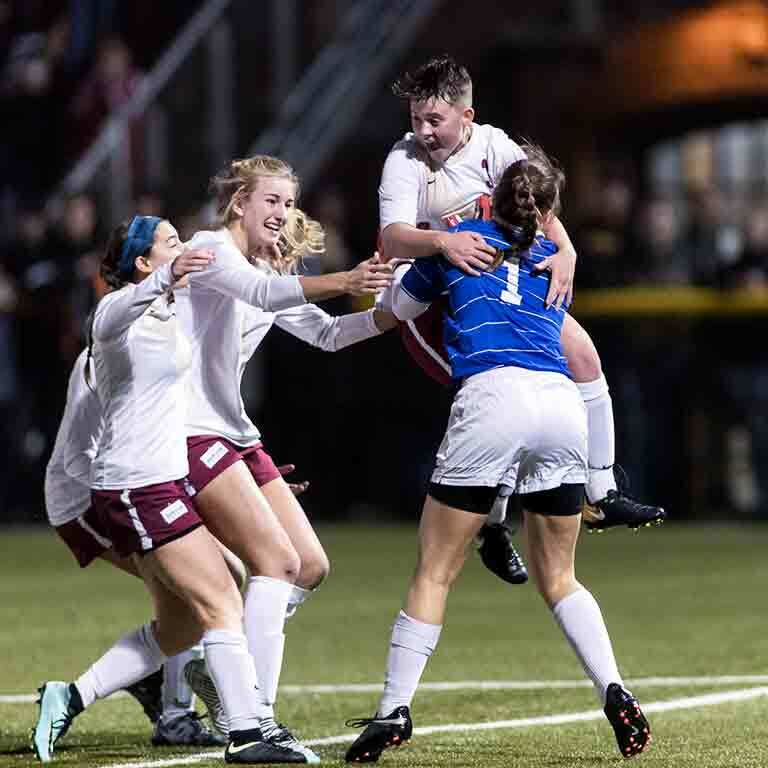 In our first season of Horizon League competition, our women’s soccer team brought home a championship and went on to compete in the NCAA tournament. For our soccer team and for all of our student-athletes, this level of competition prepares them for the future. They graduate with degrees and knowledge as well as with lessons in discipline, leadership, and teamwork, all of which make them great assets in the workforce. 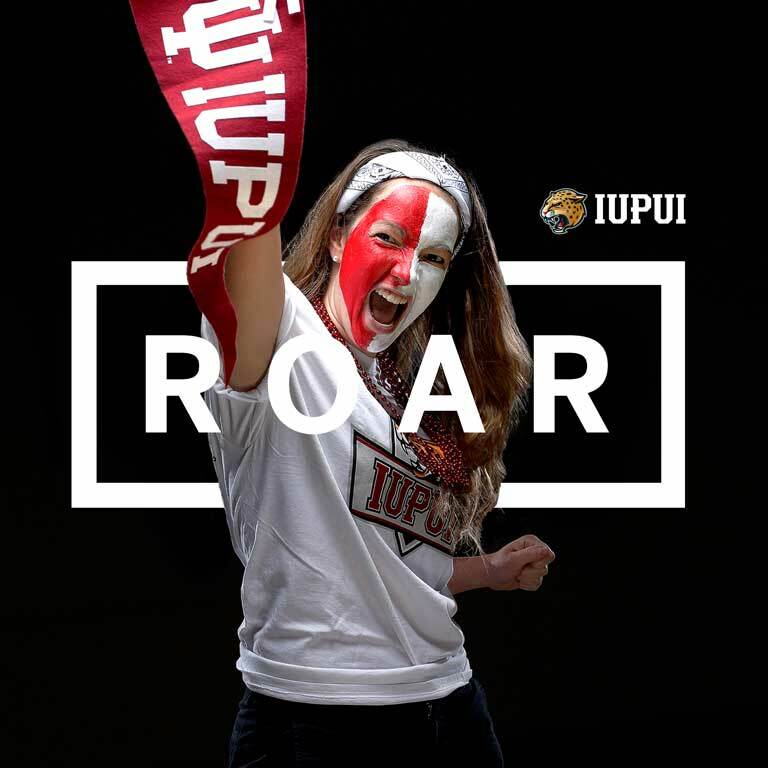 Top: Emily Cutcliffe, a nursing major, roars with school spirit. Bottom left: T. J. Henderson, a junior studying communications, on the basketball court. Bottom right: Women’s soccer team members Sophia Lopka, Emma Chambers, and Valentine Pursey on the field. Here, in the “Amateur Sports Capital of the World” and the Horizon League’s hometown, IUPUI Athletics is bringing new energy and excitement, with students and student-athletes roaring all over campus.